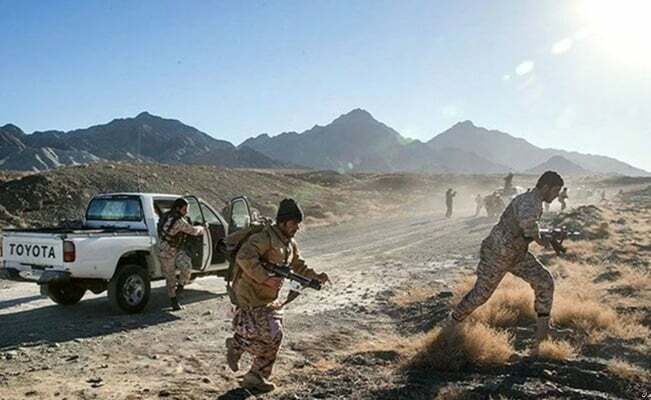 The Jaish al-Adl terrorist group has reportedly kidnapped a number of Iranian forces near the Pakistan border in Sistan and Baluchestan province, southeast of Iran. According to Iranian media reports, the terrorists attacked the Iranian guards in Lulakdan border village at 4 to 5 am (local time), Tuesday morning. The Iranian forces include one border guard, four conscripts, and six Basij (voluntary) security forces, Fars News reported. In a statement quoted by the IRIB News Agency, the anti-Iran terrorist group Jaish al-Adl has claimed responsibility for the attack and abduction. The Quds Base of IRGC Ground Force later released a statement to give more details of the attack. According to the statement, the foreign-backed terrorists have infiltrated certain elements into the Iranian border post. The IRGC stressed that it will pursue the fate of the abductees and chase the terrorists, but at the same time urged Pakistan to take serious action against such operations inside its territory and find and release the Iranian hostages.